Are you ready for the next-generation of PLM software tools? Trends / Are you ready for the next-generation of PLM software tools? Summary: The next generation of PLM software tools are here. It’s inexpensive cloud PLM software that implements quickly, works right out of the box, and integrates with everything and everyone. It’s PLM, but for the 21st-century value chain. Change for manufacturers is hard. Pushing updates to a car isn’t as easy as rewriting a few lines of code. That’s why change at Ford is measured in decades when change at Google is measured in weeks. We get it. But as the rest of the world embraces new technology, manufacturing tightens their grip on existing processes and systems. Incumbent service providers are reluctant to develop innovative solutions and incumbent clients are reluctant to adopt them. Those at the top are incentivized to maintain the status quo, lining their pockets and hoping industry disruption happens on someone else’s watch. But the end is near for complacent companies. 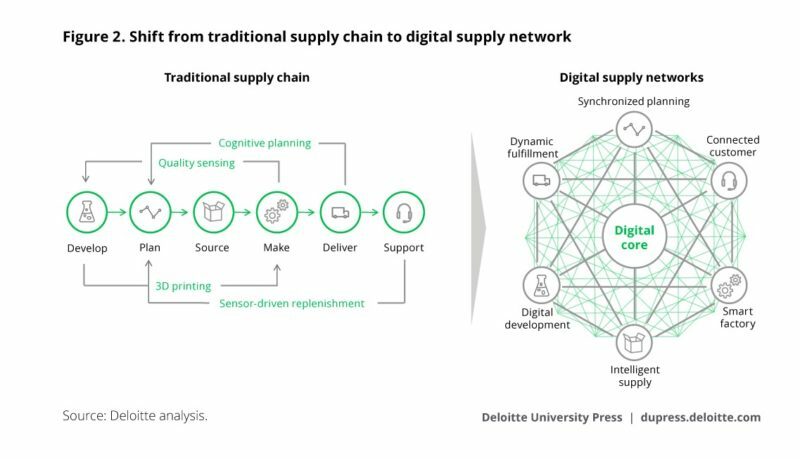 The very fabric of the manufacturing and industrial space is being overhauled as systems, processes, and how we think about innovation begin to change. Product Lifecycle Management (PLM) software tools are finally taking their rightful place at the heart of manufacturing processes across the value chain, not just the folks at the top. For decades, the industrial software space has been dominated by four major players: IBM, Dassault Systemes, Siemens, and SAP. Over the years, they’ve positioned themselves as the technical solution to beat. Over-customized implementation makes switching to a new provider difficult at best and a disaster at worst. Interfaces solve one specific problem but fail to unite disparate user groups. Octopus-like products that additional suppliers or even other departments won’t get close to with a 10-foot pole aren’t the exception – they’re the norm. Software requires hundreds of hours of consultant and implementation work to get it up and running (hours for which they charge a hefty fee). That’s why PLM software tools have strictly been the purview of multinational corporations. Anyone smaller just didn’t have the overhead to get it going nor the patience to put up with a 5+ year implementation plan. At the same time, the demands on PLM software tools are increasing all the time, and organizations need robust solutions. Consumers have access to more information to make decisions, and as the cost of manufacturing continues to drop, they have more choice than ever. They want the latest and greatest and are perfectly willing to switch purchasing behaviour to get it. Organizations who can best meet that demand for newer, better, and trending products are the ones best positioned to succeed. Supply chains are getting more specialized. The increasing use of computers in products alone has caused supply chains to explode in complexity, with multiple supply specialists being included to provide things like software, sensors, cameras, batteries, and processors. It’s more challenging than ever to drive innovation forward because you have more moving parts (literally). The MNCs have hung themselves with their own rope. Sure, they’ve banked hefty PLM profits for the last thirty years. But they’ve opened space in the market for better software. Cloud-based PLM software tools that are easy to implement, offers cross-platform integration, and come ready to use out of the box – consultant not required. Using a software-as-a-service (SaaS) business model, organizations can lower the cost of implementation, maintenance, and support and make PLM software tools available to smaller suppliers and teams. Suddenly, a two-engineer / two-designer team doesn’t need to buy a $10,000 product. They can get spend $200 bucks on four licenses and connect their work with the value chain network in minutes. Organizations need to be able to communicate changes, new designs, and feedback (data or otherwise) up and down the value chain. For instance, CAD files, bills of materials (BOM), and technical specifications need to be able to be shared by everyone, rather than split into proprietary data formats or disconnected silos with email and PDFs filling the gaps. Data sharing is what makes iterative design and production possible, and is the key to rapid product improvement. The best solutions will work with existing systems to facilitate collaboration, creating transparency and accessibility rather than standing in its way with clunky proprietary file formats. Giving auxiliary business units like sales and marketing access to design and production data has been a pipedream and a pain point for as long as software licensing has been the business model of choice. By lowering the cost-per-user and improving user interfaces and design, cloud-based PLM software tools have made data available to all users like never before. Suddenly, organizations are far better positioned to both market and sell the products they have, and develop new products that meet business objectives with a seamless product-market fit. Cloud-based PLM software has effectively democratized the world of product lifecycle management. It’s no longer about building the best software that works for a single organization (and getting fat on consultancy and implementation fees). It’s about building a product that’s flexible enough to work with all organizations in a supply chain. That integrates with everything, is so easy to use that auxiliary stakeholders can leverage production data and can be implemented quickly at an extremely low cost. It’s not PLM like you know it. It’s an overhaul of how we think about product lifecycle management, how we think about innovation, how we think about collaboration, and how we get from an idea to a product. It’s product lifecycle management software tools, but better.